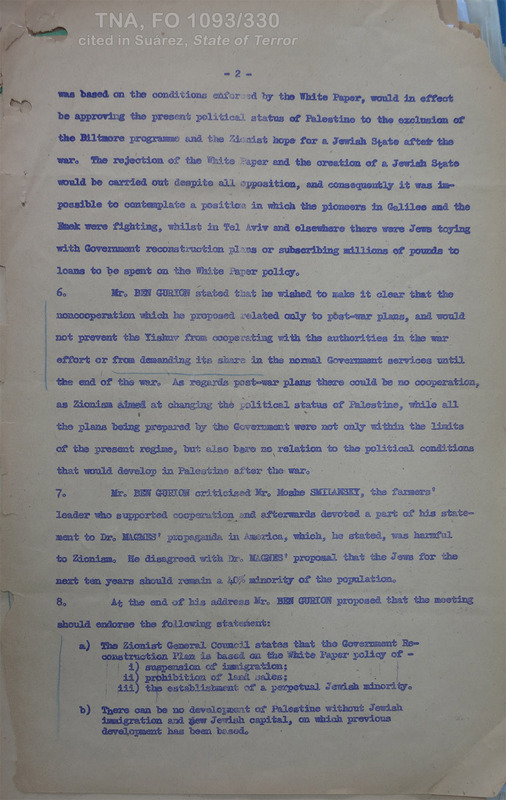 This document is dated 8th July, 1943, and concerns a meeting held three days earlier. 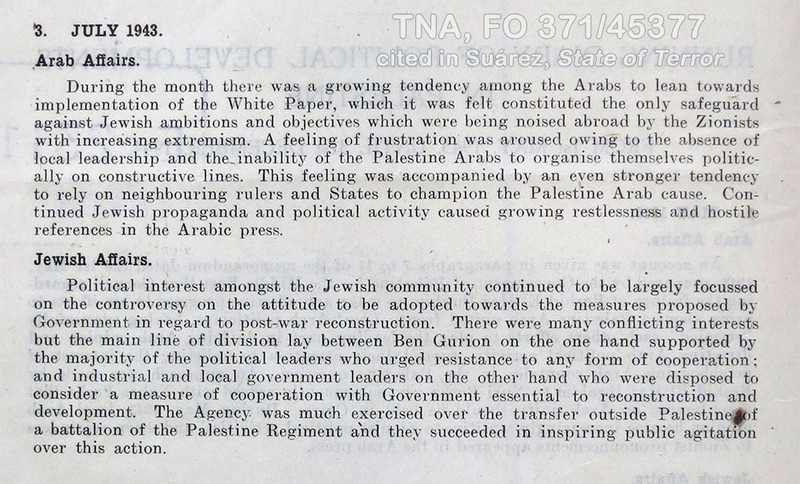 "The Inner Zionist General Council and Non-Cooperation"
The images identified on this site as from the (British) National Archives (TNA) are not public domain. 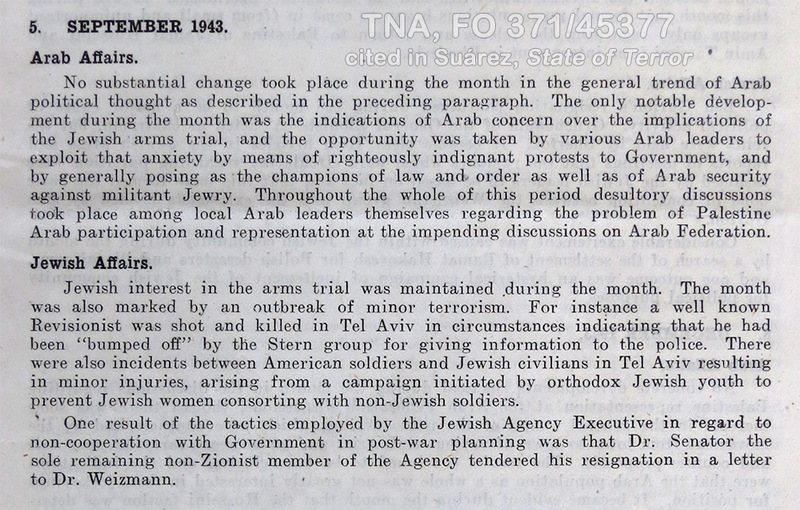 They are reprduced here with permission. To re-publish images, you would need to obtain permission from them separately. 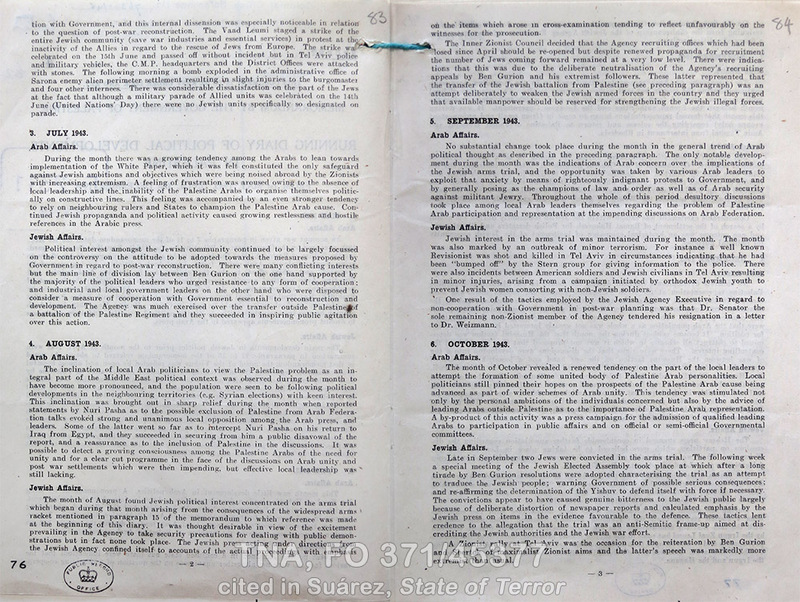 The text on this site is ©Thomas Suárez, most taken from State of Terror.